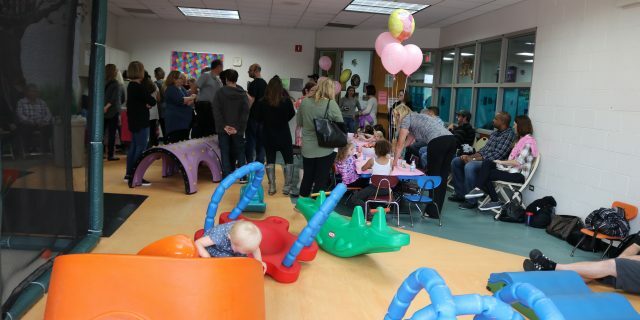 We offer great parties at two of our locations, Jewett Park Community Center and Sachs Recreation Center. At our facilities you may rent space and provide your own entertainment, or let our party experts handle all the details while you sit back and relax. But hurry, space is limited! Parties run for 90 minutes. We offer several different party packages, please call and let our party experts assist you in your party planning. If you are interested in renting a Pool or Park please visit our rentals page. Don’t see exactly what you’re looking for in our birthday parties? Let us know and we will try our hardest to accommodate your imagination! A great party for little artists! Children create a watercolor/craypas masterpiece suitable for framing. Birthday child helps pick the theme (castles, animals, etc.) Kids love this party. Balloon animals are a huge hit at birthday parties! Balloon animals will be created non-stop for 45 minutes by the Magic Team of Gary Kantor. Dogs, butterflies, swords and giraffes will be twisted in a rainbow of colors. The kids will do more than just play with the balloons, they’ll also get to decorate their animals with stickers and markers! At the end of the party all guests will take home their very own collection of assorted balloon animals. Working with Richard to create a special ceramics birthday creation. Each child will build and glaze an independent project decided on in advance. Projects will be available for pick-up at the community center the following week. Dance to your favorite songs. Follow along to interactive dances such as The Car Wash, Cha-Cha Slide and Hoedown Throwdown. Learn choreography to the newest pop/dance songs, free style dancing and circle break-dancing. Enjoy party games such as freeze dance, hula hoop contests or theme parties such as HS Musical, PJ, Sock Hop, and more. For energetic youngsters who love to move around, we can customize a sports party that can include an obstacle course, basketball, games, and other athletic activities. Loads of fun for everyone! Pool party guests can splash and play with friends at their own private pool. All guests must be in swimsuits and bring their own towel. Ratio of one adult in swim attire for every 7 children under the age of 9 is required. If your child is crazy about science or if you’re looking for a different type of party, this one is perfect! Combine spectacular demonstrations and hands-on science fun. And, everyone makes a take-home project. Other options (additional charge) are lasers, rocket launches, bubbling potions, & more. Magician Gary Kantor presents a thrilling magic and balloon animal show specifically tailored for this younger age group. Gary’s magic will use stuffed animal characters from popular cartoon shows to amaze the children. You can even bring your child’s favorite stuffed animal and make it part of the show. A balloon animal will be made for every child to take home after the show. Twenty minutes of magic followed by 10 minutes of making balloon animals. Make your party unique, entertaining, and memorable with the incredible magic of Gary Kantor. You will see vanishing acts, card tricks, mind-reading, and much more! All shows are interactive – your child will come up on stage and become a Junior Magician right before your eyes. Lots of audience participation and laughter. The magic show lasts 30-40 minutes. Party includes music, dance and tumbling. Our coaches provide all participants with basic gymnastic instruction, while allowing them to have fun with ribbons, balls, hoops ropes and dance. Everyone will get a chance to be a star at this fabulous birthday party! Children will celebrate together with fantastic theater games that spark the imagination and always lead to laughter. Party includes 45 minutes of improvisational games led by qualified theater instructors whose primary objective is to have fun! 90 minutes in the Treehouse. Two party coordinators will assist with your party, serve refreshments, pass out goodie bags and clean up. 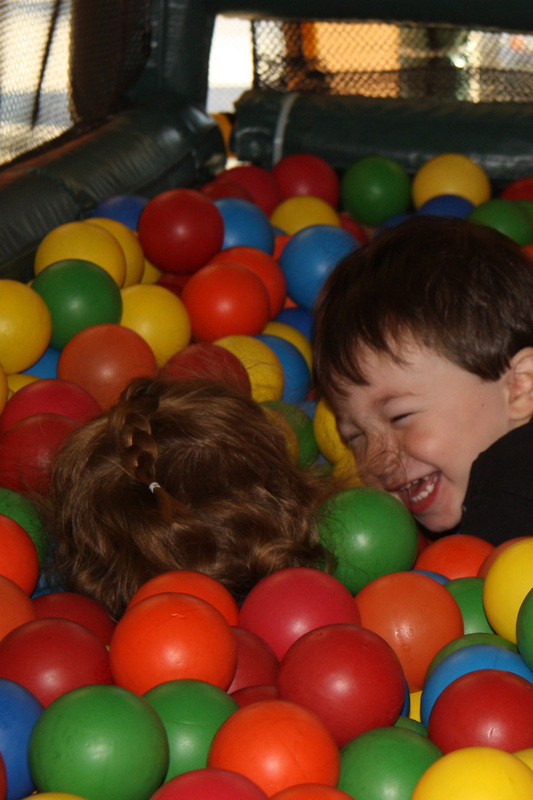 Throw your child a fun party at the Treehouse, located on the upper level of the Jewett Park Community Center. 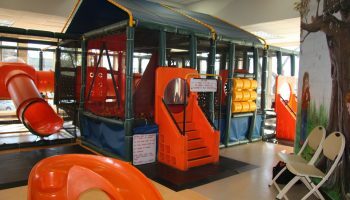 Kids will enjoy the eight foot tube slide, mountain climb, spring walk, web crawl and double cush-n-cube bags, not to mention other intriguing attractions to stimulate young imaginations. Rent space and provide your own entertainment, or let our party experts handle all the details. Set up is 15 minutes before the party. For 90 minute parties, the coordinator spends about 45 minutes in an activity with the children. Room/tables/chairs are included with your party. Parties are scheduled only on weekends at Jewett Park. The Sachs Rec Center may be available, dependent on building schedule. No toys or equipment are available for use except those which are provided with party package. Parties with live animal entertainment are prohibited. We require full payment within seven days of issuing the contract or you may lose your rental time. Parties must be booked no less than 14 days prior to the party date. Parties are subject to room and instructor availability. Park district programs have priority in scheduling. Non-residents must pay non-resident fees for all party reservations. The Park District reserves the right to reassign scheduled rooms without notice. Host provides invitations and goodie bags. An additional $50 deposit is required when the contract is signed. Deposit will be returned approximately two weeks after party, ONLY if the room is left in satisfactory condition, the party is concluded within time frame of rental agreement, no outside food (except for cake and beverages) is brought in, and maximum number of children is not exceeded. To make reservations, please call 847-572-2628. When leaving a message, please mention suitable dates/times, number of children, and leave a daytime phone number so we can return your call. Want More Information? Want to Set Up A Party? Sign up using our easy online system.